The second round somehow turned into troll the Dallas Cowboys day! 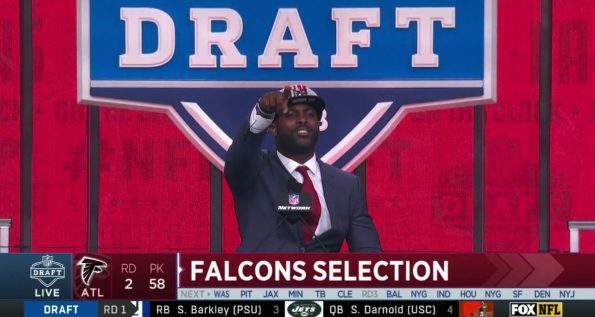 About half an hour after former Eagles kicker riled up the crowd by bringing up their last Super Bowl win — former Atlanta Falcons QB Michael Vick decided to do some trolling of his own. The former all-pro QB stepped to the podium to announce the Falcons pick when he took a shot at the Cowboys. This one didn’t hit as hard, because Vick was wrong.